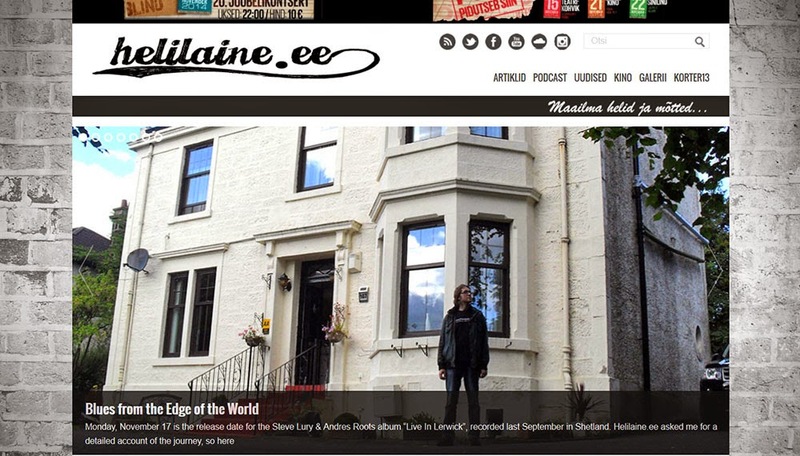 Yesterday, Helilaine.ee published Andres' "memoirs" of the Shetland trip that produced "Live In Lerwick". Read all about it here: in English and in Estonian! Also yesterday, the Sirp weekly printed yet another review of IDeeJazz festival, which featured Roots & Terep - this time by Avo Kartul: "Guitarist Andres Roots represents a fairly rare style of blues playing, his very good slide technique complimented by great chording and skillfully executed basslines, played simultaneously... Drummer Raul Terep, coming from a rock and orchestral background, provided expert backing, and thus the audience was treated to a stylistically rather varied set of (not just) blues."